A large crowd gathered in Johnston last week for the first of three springtime Community Concerts in the Park. 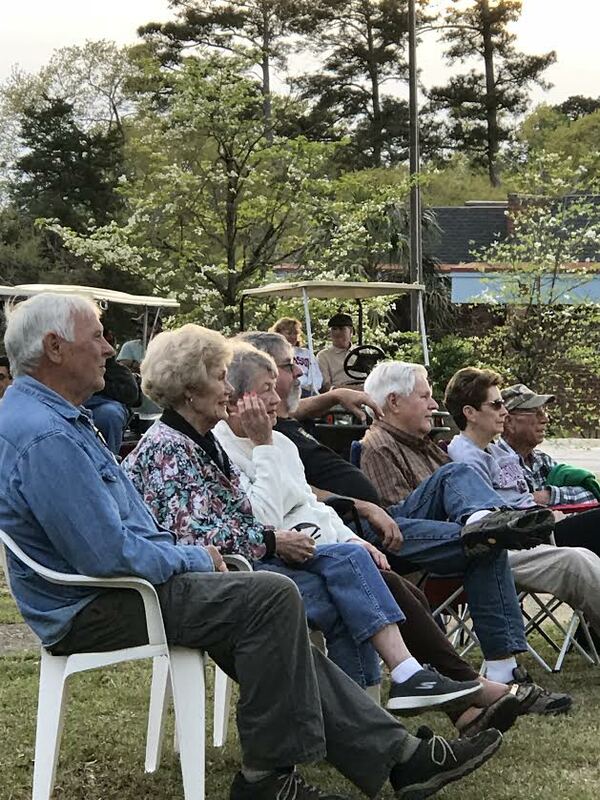 Held April 6, the first concert in the series featured Joyce Rude and the Rude Dudes, who have been performing classic country and oldies in the area for almost two decades. The concerts, being put together by the non-profit Johnston Development Corporation (JDC), are being held on the first Friday of April, May, and June, 7-8 p.m. The concerts are free and open to the public, and are being held in Mims Park in front of Johnston Elementary School. WKSX radio is the Corporate Concert Series Sponsor.